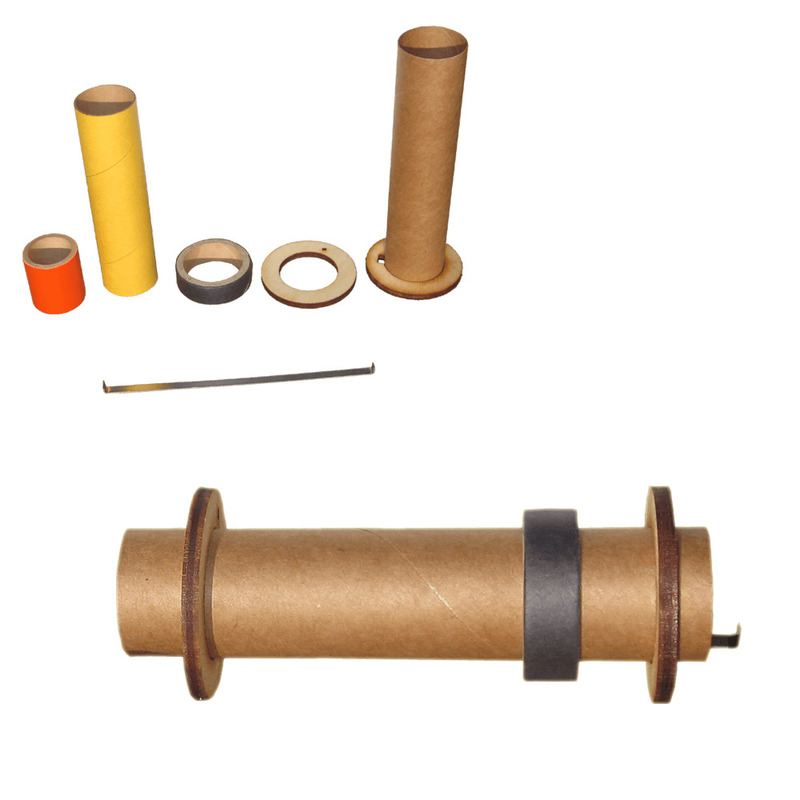 Motor mounts are used to position an engine tube into a larger model rocket airframe. 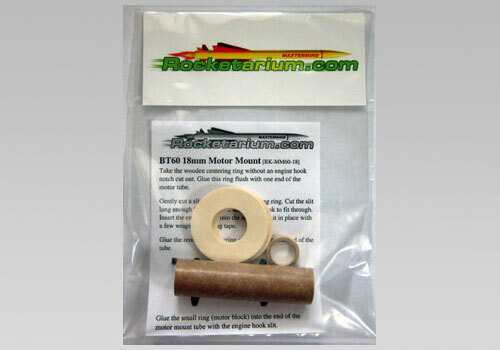 These kits include parts needed to make your own motor mount. 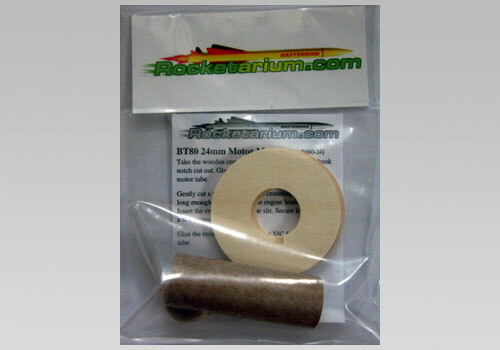 Fits an 18mm engine tube into a BT50 body tube. Complete with engine hook, engine blocks and engine tube. Centering rings are plywood and paper. 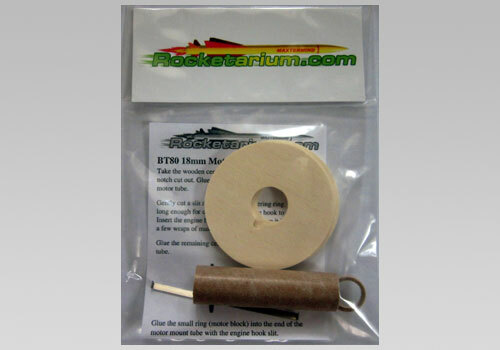 Single engine motor mount kit used to mount an 18mm motor mount into a BT55 rocket. Complete with plywood centering rings, engine hook, engine blocks and engine tube. 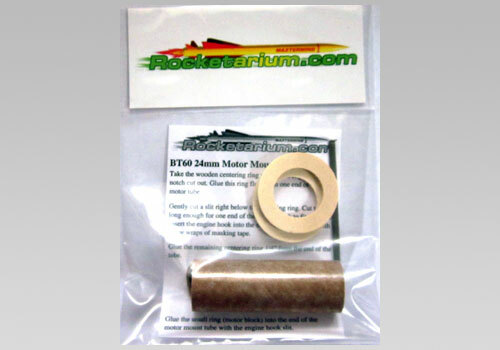 Single engine motor mount kit used to mount an 18mm motor mount into a BT80 rocket. Complete with plywood centering rings, engine hook, engine blocks and engine tube. 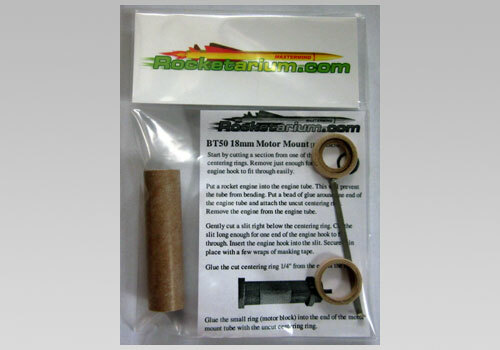 Single engine motor mount kit used to mount an 24mm motor mount into a BT80 rocket. 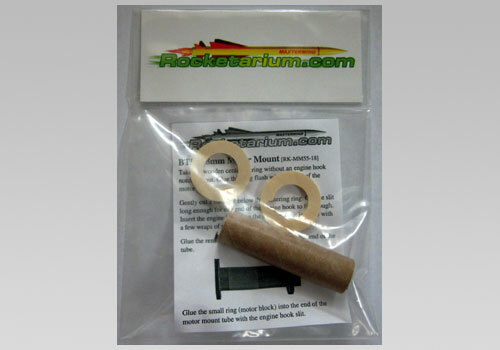 Complete with plywood centering rings, engine hook, engine blocks and engine tube.